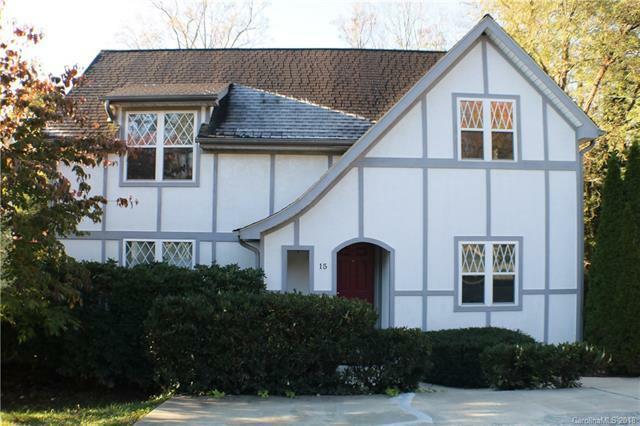 A Modern Tudor in convenient and coveted Historic Kenilworth! Ideal Investment Opportunity. 1)long term (30 day plus) rental of both main living & apartment/ADU. 2)live on the main w/ long-term rental of apt. 3. live on main w/ long-term rental of apt and Homestay/Airbnb the two bed/bath upper floor suite. Centrally located to the humming iconoclast eclecticism of downtown Asheville, the legendary Biltmore Estate, unique breweries, world-class shopping at Biltmore Village, delicious dining experiences, and Mission Hospital. The main home's outstanding features are a large bonus room/office/bedroom (w/closet) on the first floor, open-design living/dining w/ adjacent deck for grilling and relaxing, large second-floor, master bedroom with ensuite full bath and a separate, upstair's suite w/ 2 bedrooms and another full bath. The separate apartment on the lower level has a private entrance & off-street parking. Apt.rented with 1-yr lease-$950/per mth thru 5/15/19. See MLS 3420030 for docs. Offered by Rouleau Real Estate Group. Copyright 2019 Carolina Multiple Listing Services. All rights reserved.